Can Productive Bloggers Think Like Project Managers? Try Doing This. 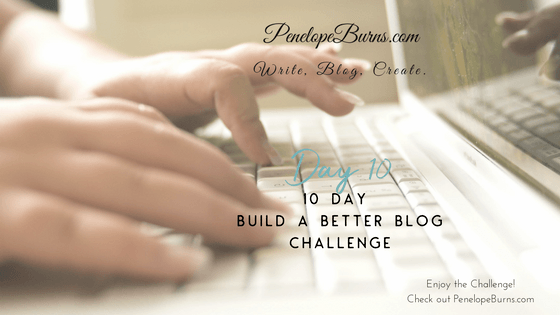 Blogging Tips For New Bloggers: You’ve Started a Blog – Now What? Sign Up For Your Free 1 page cheat sheet showing how the best Project Managers plan their blogs. How to Grow Your List With Lead Magnets. Hi everyone and welcome to Day 10, the final day of our challenge. Today I want to share something with you that I would consider a bit more of an advanced list building technique. The good news is, it’s actually fairly easy to implement, but it is a little extra work. I promise that it’s well worth the effort. Be honest. How many times does this happen? You’re browsing on the internet, and you come across a blog post you love. You resolve to come back to the blog and read it regularly before moving on. Two hours later and you’ve completely forgotten about this great new blog you discovered. Chances are you’ll never make it back there unless a fortuitous accident reunites you with the blog a few months down the road. Guess what… the exact same thing happens to a lot of your readers. If you don’t believe me, look at your Google Analytics stats and see how many of them are first time visitors. The vast majority of them will likely never make it back to your blog. That is, unless you can convince them to join your list. Once you have their email on your list of subscribers, you can keep bringing them back to your blog over and over again and build a deeper, stronger relationship with your readers. Building a list is easier than you think. Start by signing up for a dependable auto-responder Service. Set up your first list, write a short little email to welcome new readers, and grab the code for an opt-in form. Stick it in your sidebar or even better add it to the bottom of your blog posts (or do both). This alone will get you started building your list. (I have summarised these steps as I assume you know the functionality of building a list. If not, let me know in the comments and I will do a separate post). From there you can expand and start to learn more about list building. Things you want to look into are a dedicated opt-in page, pop-up opt-in forms, etc. Once you get your opt-in page set up, you can link to it from your social media profiles and other different places that you post. There is a fine line between wanting to expose your readers to your opt in form every chance you get, and being annoying. We have all been on those sites where you can't click for opt-in forms. Think about having them in a few places without being too up front. Also, consider the fact that you are offering something of great value, so you owe it to your readers that they can find out about it. Get instant access to the 1 page cheat sheet showing how the best Project Managers plan their blogs. I have an opt-in on a home page, a pop-up for new visitors and an opt-in on my side bar. This is my main opt-in. I also have opt-ins on by blog posts where the content links to the category. As with so many things, if you are not comfortable with the concept, start off small. There’s a lot more to learn about list building, but this should get you started in the right direction. Once you get your first few subscribers, it’s time to start emailing them regularly. Send a quick email every time you publish a new blog post, or if you do a lot of posting, consider doing a weekly recap type mail instead. The main idea is to keep bringing them back to your blog and turn them into loyal fans and regular readers. Once that happens, chances are good that they start to share your blog and links to individual blog posts to their circle of influence. Since everyone has social media profiles these days that could amount to quite a bit of new traffic for you. Now that you are building your list, you need a great lead magnet. Don't just ask them to subscribe to your list, or subscribe for information. Offer your readers a gift in exchange for joining your list. Remember to add the link to your lead magnet to your welcome email. What Do Your Readers Need? Don't assume you know what your readers want or need. As with creating your posts, you need to do your research. Ask people already on your list, and research your niche. Then create a lead magnet based on your readers need. Be specific. Don't offer 'How to write better' but offer 'How to write a non-fiction book in 5 days that your readers will love'. As I explain on my post on creating a lead magnet, you must ensure you are providing value. People value their email address and will only give it away for something worthwhile. When you are planning your lead magnet, plan as if people were paying you for it. You want them to be so impressed that they can't believe you gave it away for free. The best way to study others in your niche is to get on their list. Go through their system and be a subscriber so that you can experience the pros and cons this other blogger has to offer. Look at every detail of their opt in freebie. Make notes of everything you like and dislike and keep those handy whenever it’s time to create your own offer. Make your opt in offer longer, meatier, and more informative than the others in your niche and be very cutting edge with your information. Use up to date research from the google news section. This up-to-date research might give someone a huge relief from their worry – or it might alert them to urgent information they need to know now. As I have said, don't just offer updates. That’s the worst type of opt in offer to have. Try something different. As I mentioned on Day 1, challenges work really well and are very popular. An email challenge is a series of email messages that your audience can sign up for. Usually you will send daily emails with a tip or a task and then invite your readers to participate and practice a new habit or work on a new skill. Email challenges are a great idea for a few different reasons. They give you something to focus on and mail about for the full 15 or 30 days of the challenge. That makes email marketing planning for the month easy. They also create a lot of engagement with your readers. Invite them to check in and let you know how they are doing. Ask for feedback and suggestions. Give someone access to something exclusive – a membership site. You can have a free level where users get in and get to see inside, and then they can level up to a gold or silver membership. Not everyone likes text. Some people like to learn on the go. You can create a podcast that subscribers love. It can be you talking or you interviewing someone – or even you being interviewed by someone else! A video course is a great opt in freebie. Not everyone has fast Internet, so if you go this route, give them the download files to watch on their desktop so they don’t have to worry about streaming speed. Some people like PLR, some people don't. However, if you are starting a new blog using it to create a lead magnet can be a great time saver. Think about linking a report to a blog post series you are publishing. The idea is to have a series of blog posts on a related theme, all ending in a CTA (call to action) that invites readers to join your list. To entice them to subscribe, you offer them a short report as a lead magnet. This can work really well if your content is good and the report has value. That sounds like a lot of writing, doesn’t it? How about a little shortcut – consider using a PLR Bundle that includes articles or blog posts and a short report. Let me share an example to illustrate. Let’s say you’re in the diet and weight loss niche. You could grab a Intermittent Fasting PLR bundle which includes 20 articles / blog posts and a short report about using intermittent fasting to lose weight. You take the short report, add your branding and website information, edit it as you see fit and covert it to a PDF. Next you set up the list part in your autoresponder service. Set up a new list, while also subscribing these readers to your main list, and your new subscribers will get the lead magnet delivered to them in the welcome email. Next, you start publishing the PLR articles (editing as you see fit) and crafting a CTA at the end that invites readers to subscribe to your list and get the short report as a thank you. It doesn't have to be a report, you could create a video or a podcast for example. Not only is this great way to grow your list in general, but you also have a very targeted list of subscribers who you know are interested in Intermittent Fasting. This then allows you to interact with this subset of your list on the topic, send them more content and of course product offers as well. You can then rinse and repeat this technique with another PLR bundle. This works for any niche where there is good quality PLR. Just keep an eye out for appropriate PLR article bundles to put it into action. Hopefully, you have found these tips to be useful. If you already have a lead magnet, evaluate whether it is working or should you change it. Do you need some more for different topics? These are one of the most important parts of your blog, so give them some consideration. Start studying your lead magnets. Think about how you can encourage visitors to join your list and stop losing readers. Choose your auto-responder and ensure you know how to use it. Ensure you have at least one opt-in form on your site. Ensure you also have an opt-in form in your blog content. Look at the types of lead magnets on similar blogs in your niche. Decide on the type of lead magnet you will provide. Add the link to your lead magnet into your welcome email. If you don't already, start thinking about how you can have separate opt-in offers for different categories. Get into the habit of emailing your list each time you publish a post. So, these are your tips for Day 10. Get creating that lead magnet. See what you can do to engage your readers or increase your list by having a great opt-in offer. Let us know what works for you. Any questions or problems, ask in the comments box below. Look out for my round up post tomorrow. And something extra for the subscribers on my list. Disclosure: Please note that some of the links are affiliate links. This means I will earn a commission at no additional cost to you, if you make a purchase after clicking through my link. I have experienced these companies, and recommend them because I find them useful, not because of the small commissions I make if you buy something through my links. Please do not spend any money on these products unless you feel you need them or they will help you achieve your goals.